It's great for kids, young adults, and parents alike to get outdoors and do something constructive. Bow shooting is a hobby that developed for me early on when my Dad would take us outdoors to the range and practice. Now with my four kids I enjoy going on a Saturday afternoon to get them out of the house and have some bonding time. In this post I'll review what I've learned with compound bows over the years and give you some recommendation for starter or beginner compound bows. The Barnett Lil Banshee Jr. Compound Archery Set for Youth Beginners is a great set for not only youth shooters, but beginners as well. This bow has an 18 pound draw weight and 18-22 inch draw length with a soft grip so your hands don't slip and the handle is ambidextrous so you don't have to worry about finding a left or right handed bow. You can get this set in different colors to suit your personality as well; black, camouflage and pink. The set itself comes with a multi-color target, 2 target arrows, finger tab, armguard and an adjustable sight. 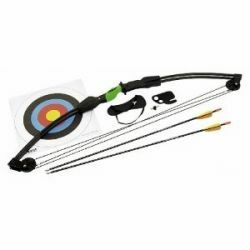 This is a very highly rated bow and is used by teenagers and adults alike. The one common complaint however, is about the arrows. Some have reported that the entire arrow is flimsy and not the best design and others have said that it is just the fletching. The wrist guard has also been reported to be a little flimsy. The bow itself is a great piece of equipment and you can always invest in different arrows that will suit your liking. Some users have even reported that it can overshoot a target by 50 feet or so, so make sure you follow all safety instructions. With any bow, you will want to make sure what the laws are in your state. Some manufacturers cannot legally ship to some places, so you should find that information out first before you purchase any bow. This is another bow that is designed for the younger person in mind, but can be used for older people who are beginning to learn to shoot. It comes with a very heavyweight design that is durable and has a composite center shot riser with a large sight window. The composite cam system has heavy duty strings that are good for all types of weather. It has 17-21 pound draw weight that works for people age 9 and up. 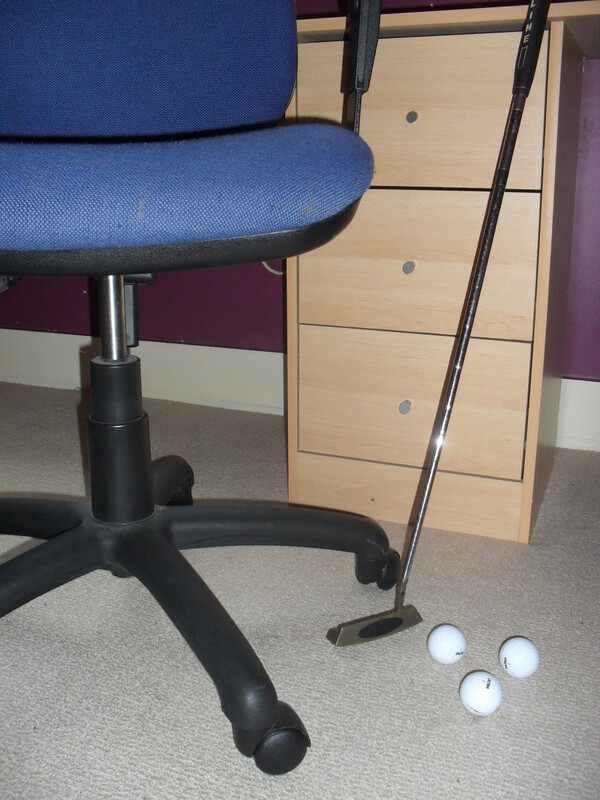 It comes with an 8 inch brace height for added ease and a right hand grip that works well for a left handed shooter. Your purchase of the Crosman Elkhorn Jr Compound Bow comes with two composite youth arrows, a two piece quiver, an arm guard, a finger tab, sights and arrow rest. Buyers should be aware that it shoots to about 20-30 feet only. Some users claim that it has enough power to pierce siding and insulation along with plastic garbage cans, so it still will pack some punch, even for a beginner archer. 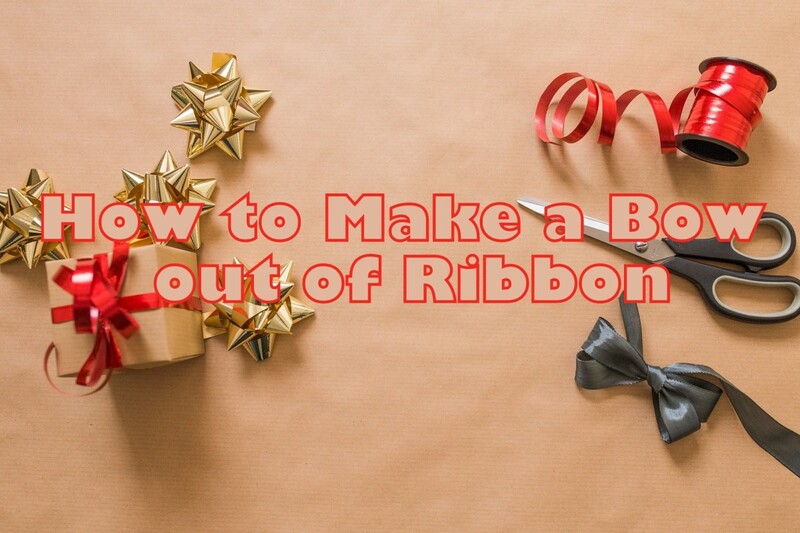 A drawback that has been found has been the lack of proper instructions on how to handle the bow itself; it does come with safety instructions but it doesn't seem to be delivered with anything that tells you how to work all parts of the bow. This can be found online however if needed. 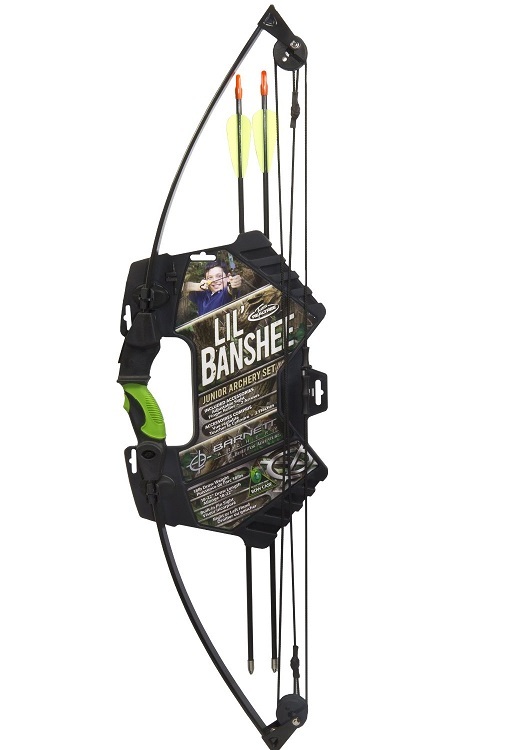 For a beginner who wants a bigger bow that is made for an adult, the Barnett Banshee Intermediate Compound Bow may just deliver on your expectations. 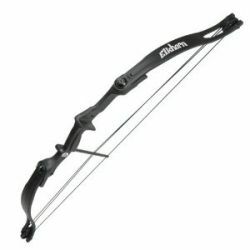 The manufacturer says that it is a good bow to introduce archery to children but most reviews have stated that it is way too hard for a younger child to learn how to use. It has an ambidextrous reinforced handled with a soft touch grip so you have good handling and it has a 24-26 draw length with a 25 pound draw weight. As you can see, the other bows reviewed have lighter draw weights that are more appropriate for beginners who don't have the arm strength for a bigger bow and for children as well. It comes with a multi colored target and two arrows. The arrows have not been reported to be the best quality so, yet again, you may find you end up investing more money into better arrows that will last you longer than the ones this bow comes with. Another bow by Barnett, this one also incorporates an ambidextrous handle with soft grip. It has a 25 pound draw with 24-26 inch draw length. Users have reported that even though it is a "youth" bow, the draw weight can be a little much for children who are just learning. You get the bow with adjustable sight, 2 fiberglass arrows, arm guard, archery tab and a paper target. 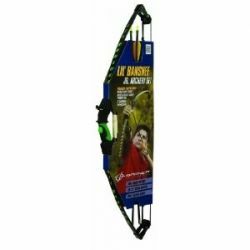 The Barnett Outdoors Youth Compound Bow has enough oomph to pierce cardboard boxes and dent cement, believe it or not. This bow is quite powerful and is just a step below hunting level bows. 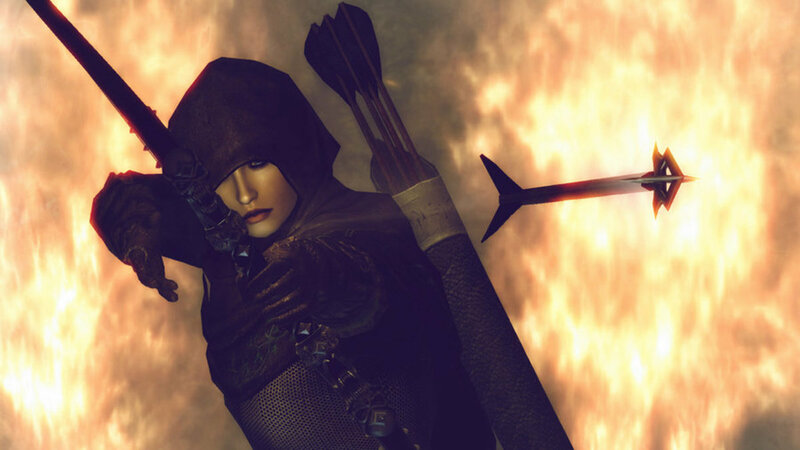 Again, it might benefit you to get some more arrows to have on hand. 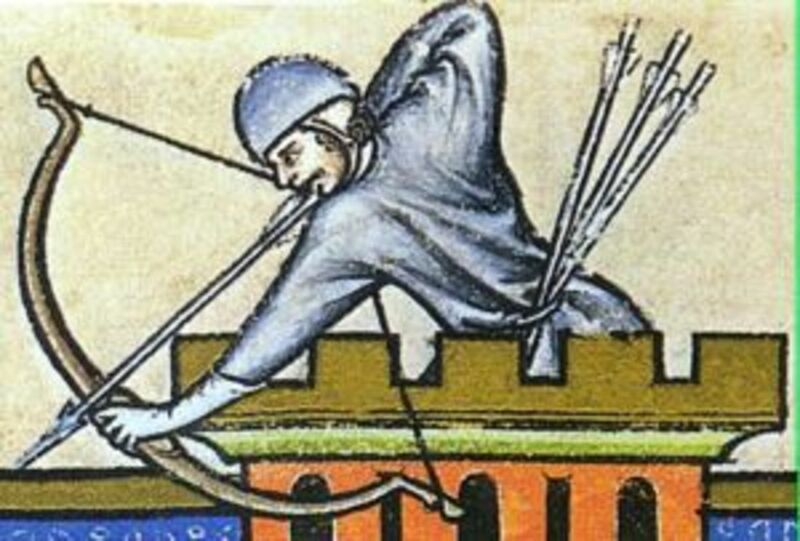 There is a drawback to the bow and the arrows that come with it - the arrows are too short for the draw. But overall, this bow has been used happily by many consumers and is another good bow for beginners. This Bowtech Diamond Razor's Edge Compound Bow is a real winner. It is not as affordable as the others we have reviewed but if you are a beginner who wants a sturdy and well-made bow, you can't go wrong with this one. This bow is accurate and fast and is actually a good price for the kind of bow it is. Even though it makes a good bow for a beginner, it is made with professional quality parts. It has a maneuverable 31" limb to limb length that is great for beginners or young hunters. The brace height of 7" gives you amazing stability. The draw length is 19-29". 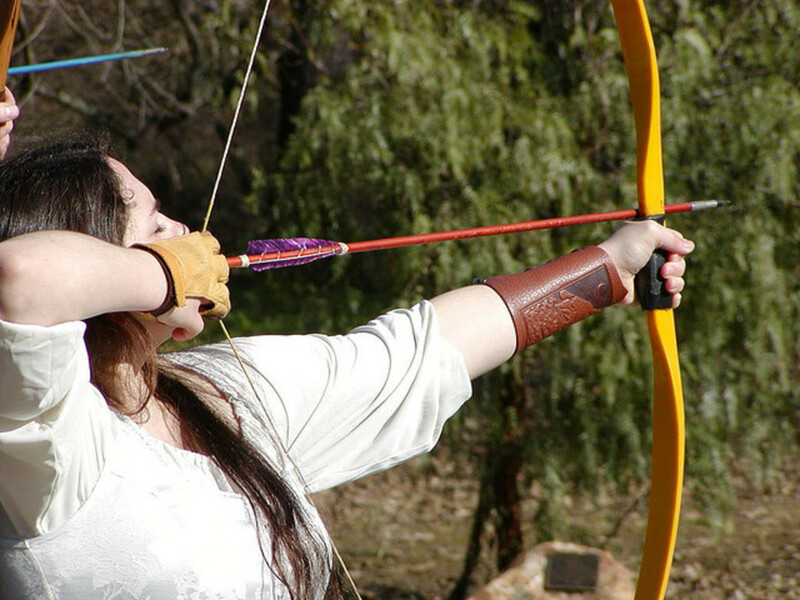 The let off is adjustable up to 75% which also is a good thing for people just learning archery. With this bow, you get a 3 pin fiber optic sight, arrow rest, quiver, wrist sling and peep sight. It can be used with either the left or right hand. Some users have stated that it is a bit heavier than might be convenient for beginners and the grip gets very cold in cold weather. A great feature is how quiet it shoos and is quite accurate as well. Automotive Polishing. 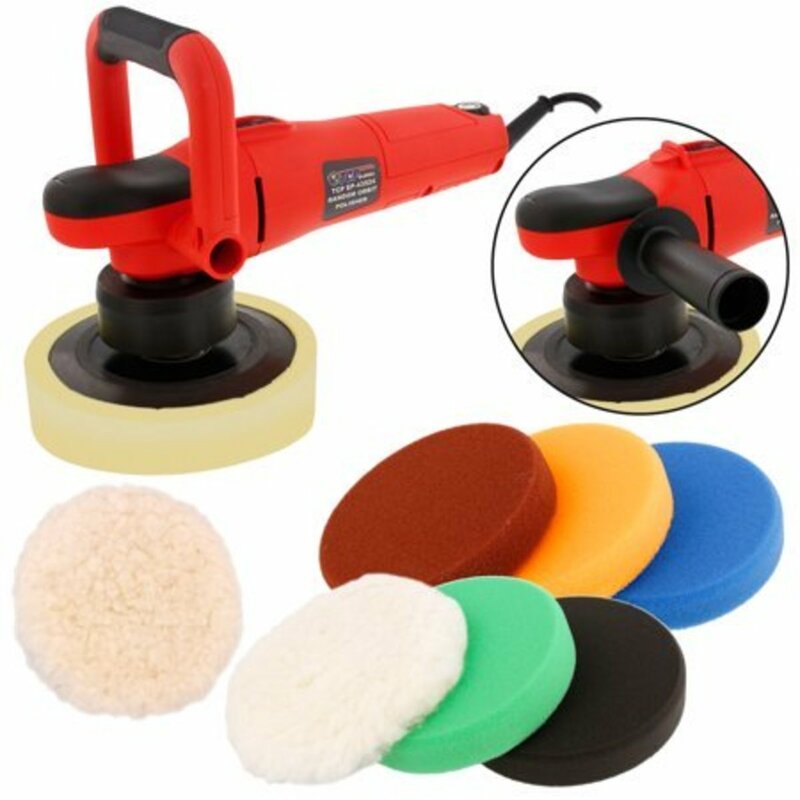 The Beginners Guide to Car Polishing. Part One: Selecting the Tools and Choosing the Compound. 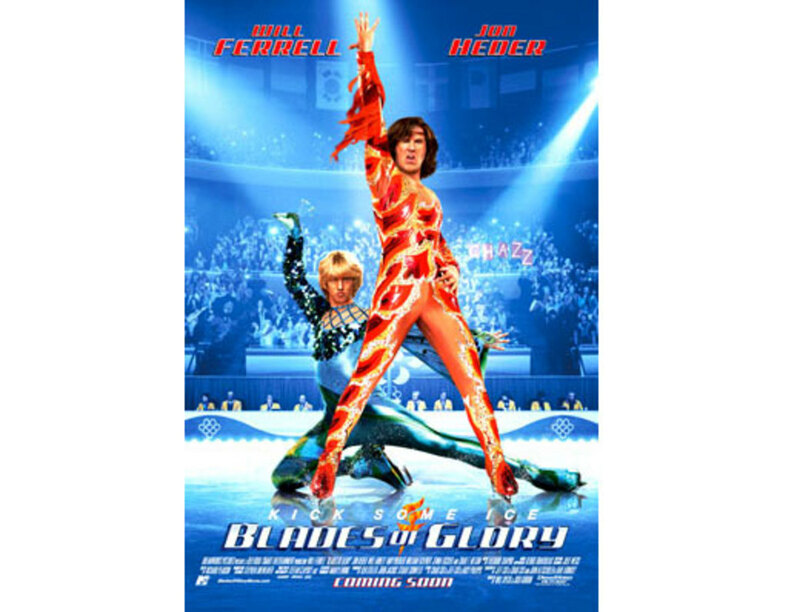 Top 12 Ice Skating Movies of All Time! Which Compound Bow do you Own?